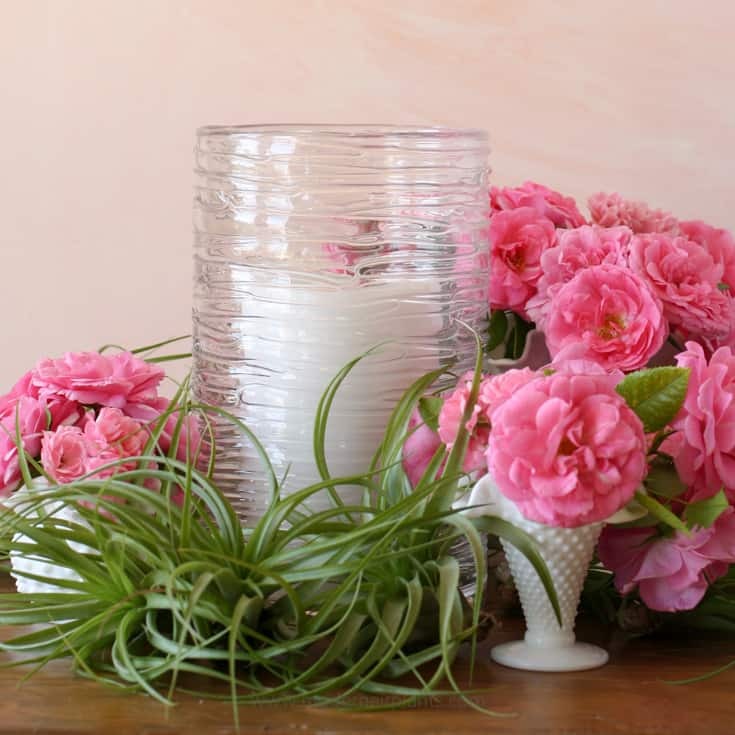 If you’re ready to mix things up and don’t want to create centerpieces that looks like everyone else’s, use air plants. 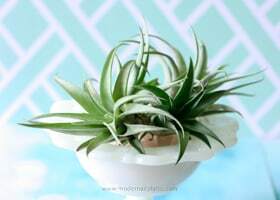 Not only do air plant centerpieces look AMAZING, but they are EASY to use. You can stick them anywhere without worrying about a vase or water. These plants are LONG-LASTING. Water them a day or two before the event and you’re good for another week. 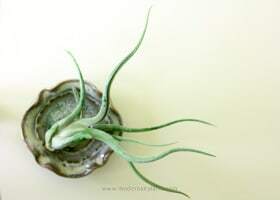 Bonus: air plants are AFFORDABLE. A focal point: i.e. a candle, a lantern, a group of candles. Think seasonally. For example, a pumpkin in the fall. flowers (I’m using roses because my bushes are loaded). Cut several from your yard or grab a bunch from the grocery store. Costco and Trader Joe’s are great resources. Here’s a few more flower ideas: hydrangeas, zinnias, chrysanthemums, tulips or daffodils. about a dozen air plants-I use all the same kind for more impact. You could also sprinkle in a few other varieties. 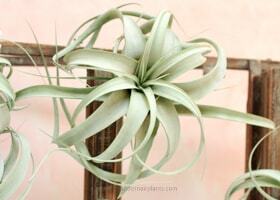 Air plant suggestions: xerographica, green abdita, peach capitata. Complimentary textures and colors will add interest and keep the arrangement from blending together. Don’t be a perfectionist. 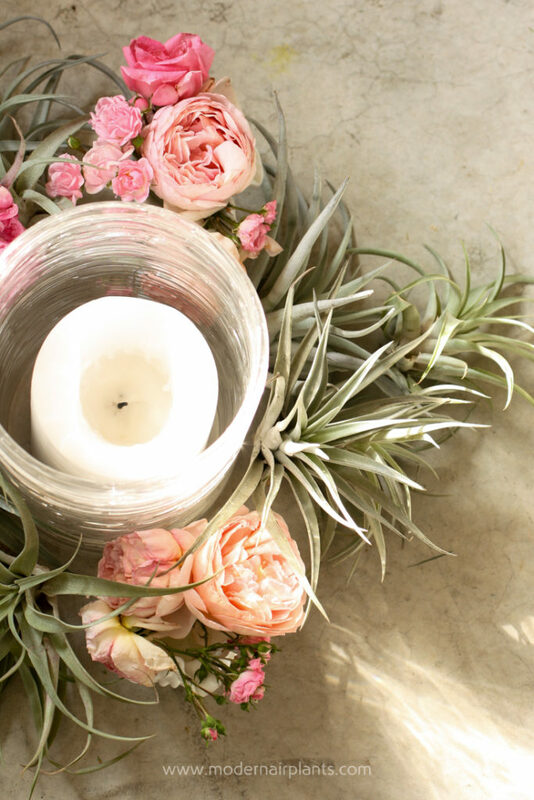 In nature nothing is perfect and your centerpieces shouldn’t be either. After gathering your supplies, begin with your focal point and vases. 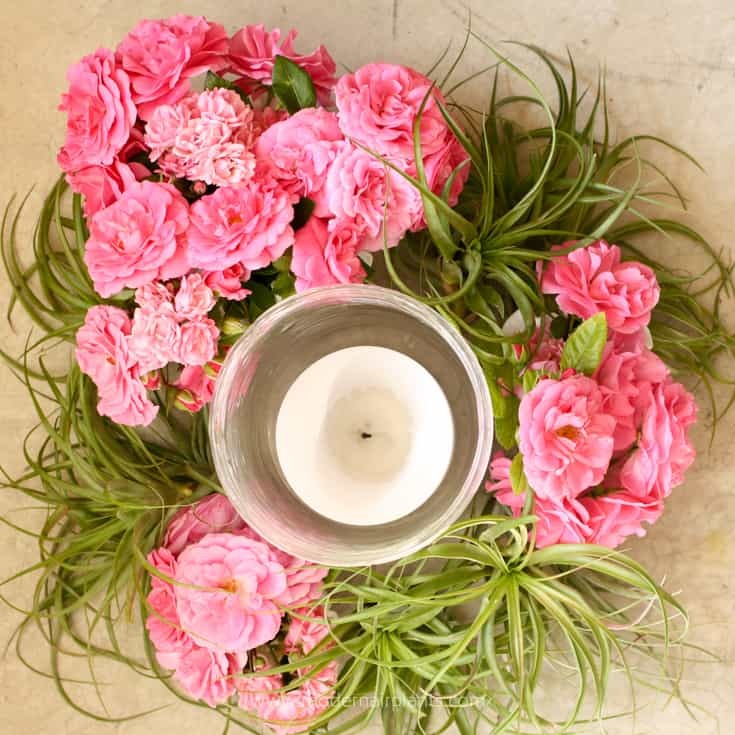 Set the 3 vases in a triangle around the focal point. Humble beginnings. 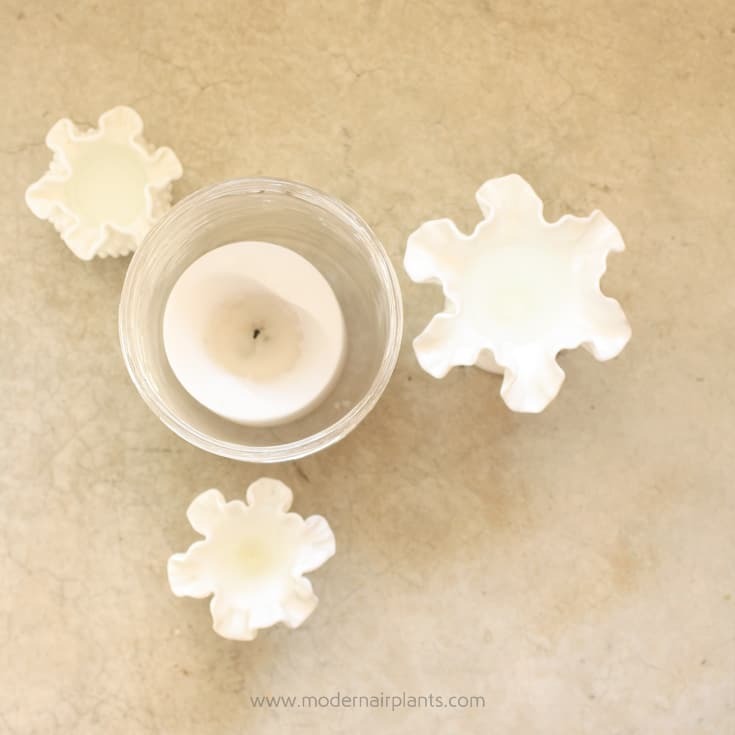 The focal point (candle), has 3 milkglass vases placed around it in a triangular shape. 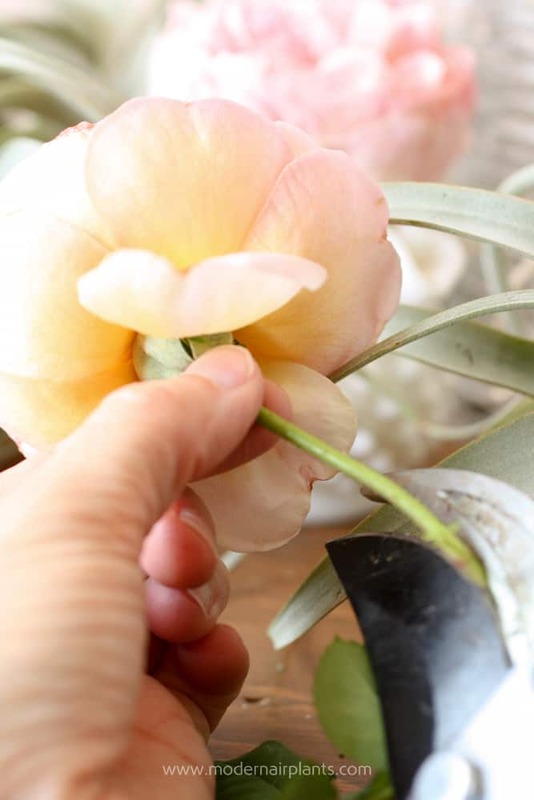 For longer lasting blooms, cut your flower stems at an angle. The next step is to add the flowers to the vases. The rose stems are snipped with a diagonal cut. Note the triangular shape of the flowers in their vase. The roses I’ve used are called morden belle and the fairy. Lastly, fill in with about a dozen air plants and you’re done! 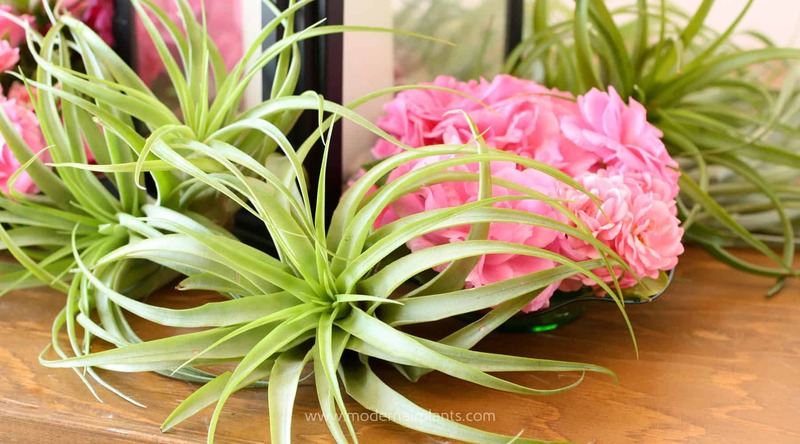 I’ve used green abdita air plants because their bright green color nicely compliments the pink of the roses. Very fresh! 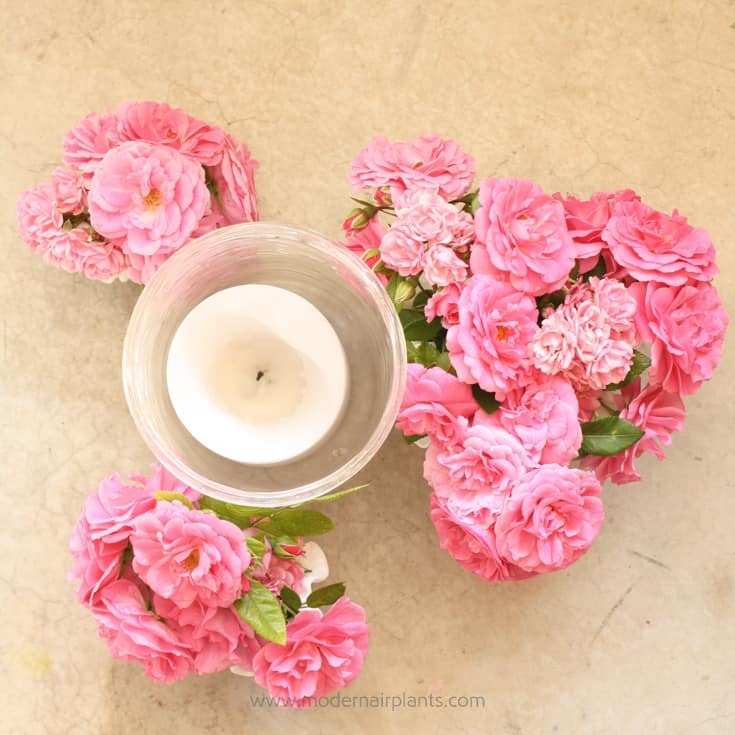 This centerpiece is so simple and easy to create, yet it couldn’t be more beautiful! Same design, same plants, different focal point, different vases. 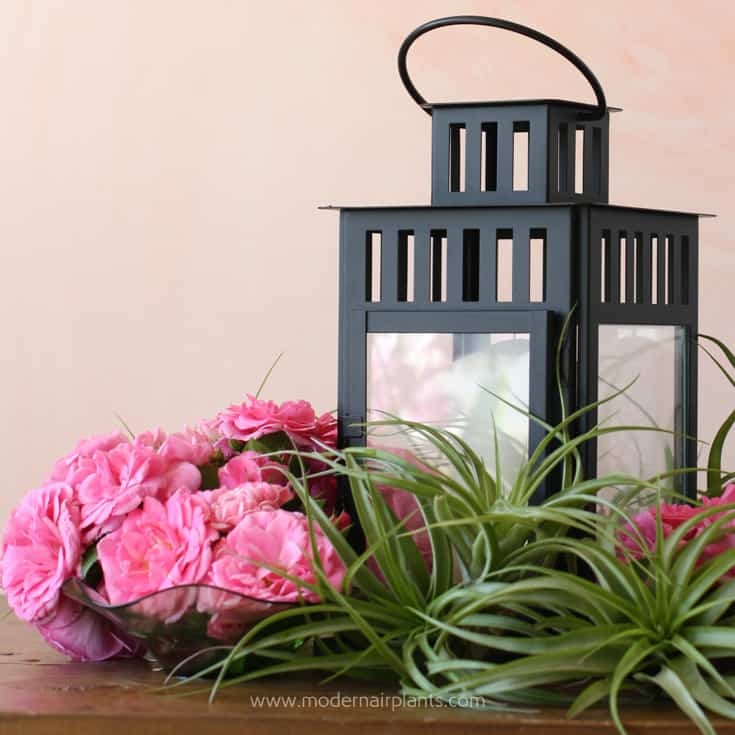 Lantern from Ikea, vases from thirft shop, roses from garden and abdita air plants. If you’re a fan of David Austin roses, try Abraham Darby with xerographicas. The peach of the roses and the sage color of the xerographicas are an ideal compliment. 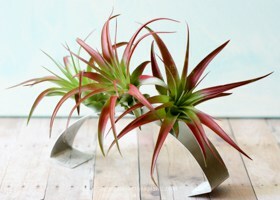 These peach capitatas are the same color as the xerographica, but are a more economical option. 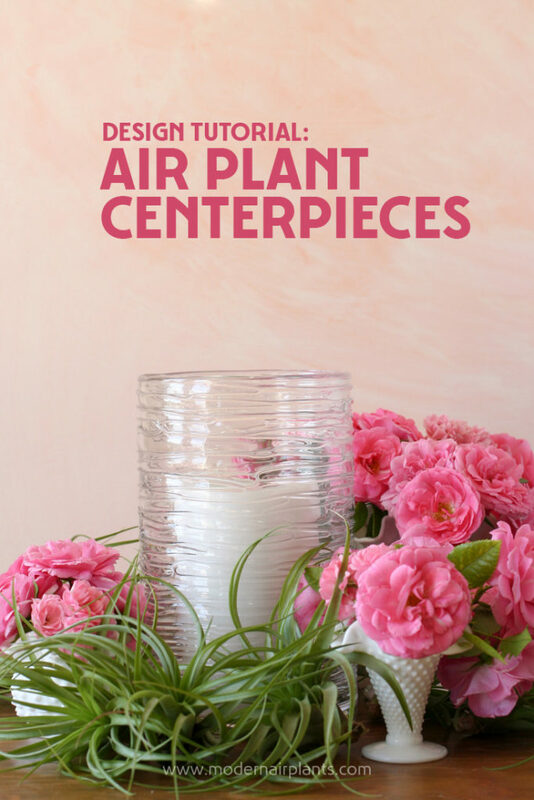 Designing centerpieces with air plants couldn’t be easier, or more fun! 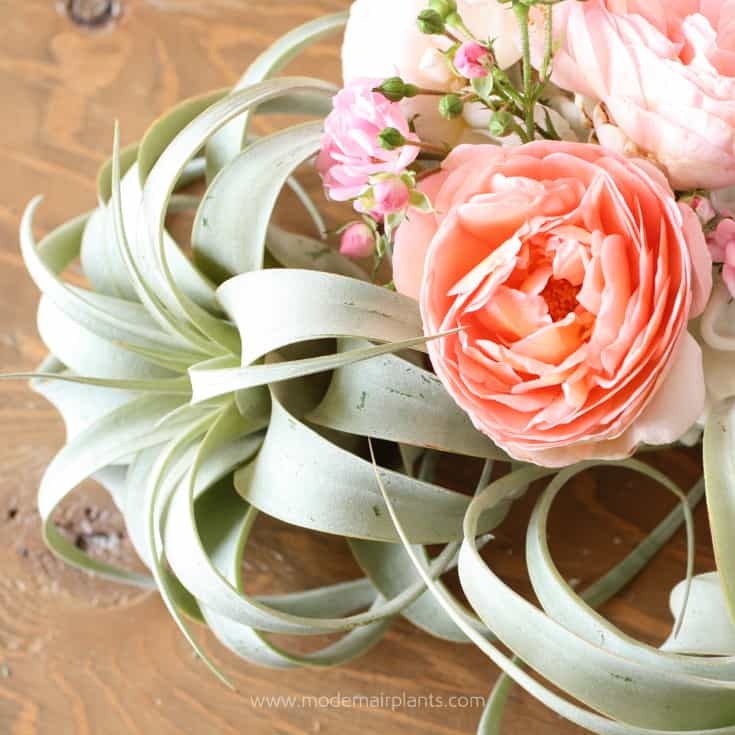 Whatever your next event, a dinner with family or friends, or a wedding dinner, with air plant centerpiece ideas in your back pocket, you are ready! Love your ideas, Anna. You make it look so easy!